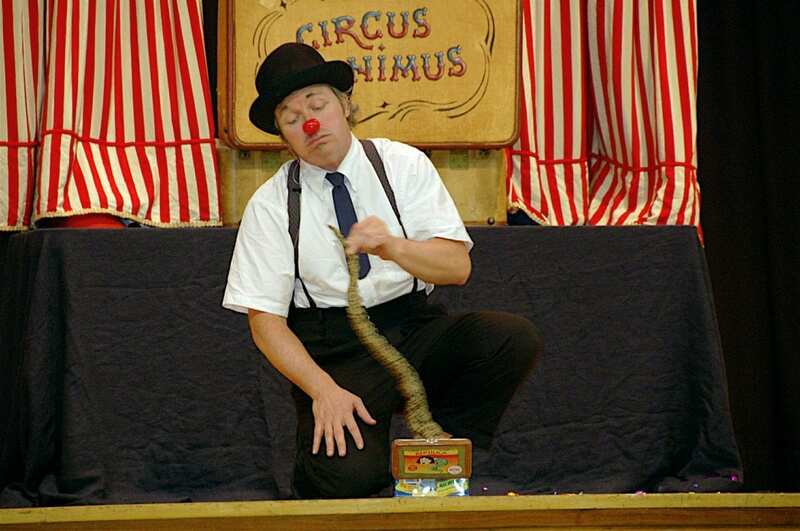 The Franklin Stage Company welcomes Kevin O’Keefe and his Circus in a Suitcase, Circus Minimus for two performances. He takes time out of his busy traveling schedule to join us by phone to talk about how finding a suitcase in a trash can inspired him to create this circus world filled with zany characters. He has been entertaining audiences around the world for 30 years.